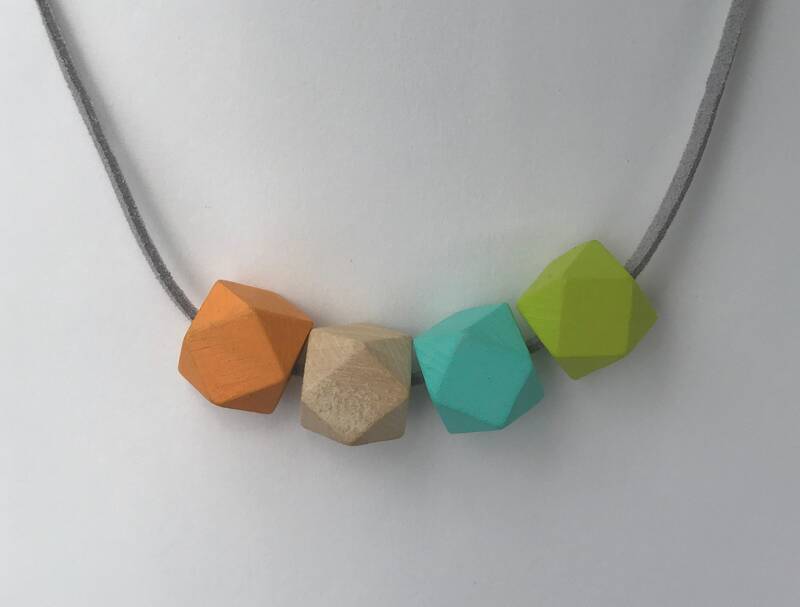 This listing is for a necklace made with 1/2 inch wooden beads that have been painted with acrylic paint and strung on a long piece of suede cord. The necklace is simply tied so it could be shortened to fit your needs. 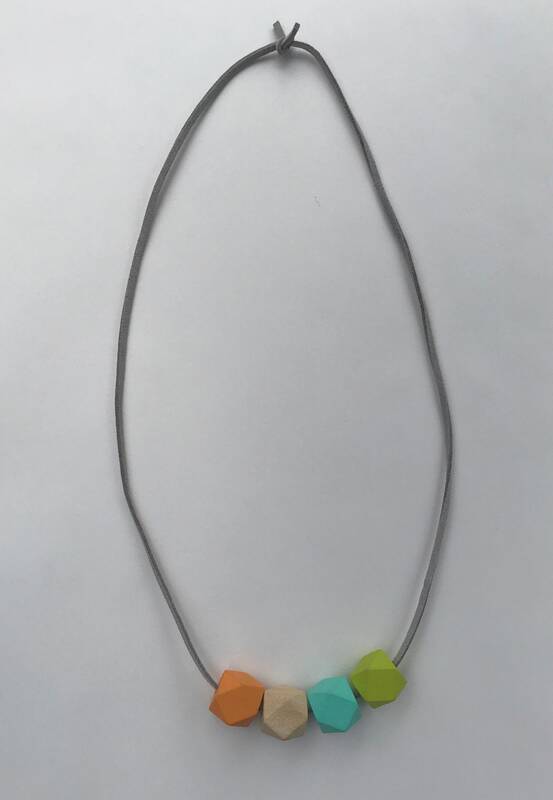 The length of the necklace is about 11 inches. If you would like a custom necklace in your favorite colors or patterns, please contact me, I’d love to work with you.